STILLWATER, Oklahoma, Oct. 30, 2014 -- OSU believes the arts are integral to its mission of improving lives through high-quality teaching, research and outreach. With that in mind, the university will soon build a nearly $60 million Performing Arts Center that will greatly enhance the study, creation, performance and appreciation of music and theatre. President Burns Hargis hosted an Oct. 30 news conference and evening events to announce the plans for a premier venue at the southwestern corner of University Avenue and Hester Street, across from the Atherton Hotel and Bennett Chapel. He also said OSU supporters Anne and Michael Greenwood, Frank and Carol Morsani, and Jim Vallion are some of the first major donors to the center. More than $16 million has been raised toward the project. The 1,000-seat outdoor amphitheater will feature a massive screen that can show events taking place inside the Performing Arts Center or telecast from around the world. "This is a once-in-a-lifetime opportunity," Hargis says. "There is a growing understanding of the importance of the arts and culture across campus and how vital they are to the education we aspire to provide at OSU." Anne Greenwood adds, "The students are amazing, and the music is superb. They need and deserve better facilities to become the best they can be." The new Performing Arts Center will house an 1,100-seat concert hall, a 222-seat recital hall, a 1,000-seat outdoor amphitheater and a 600-space parking garage, among other features. 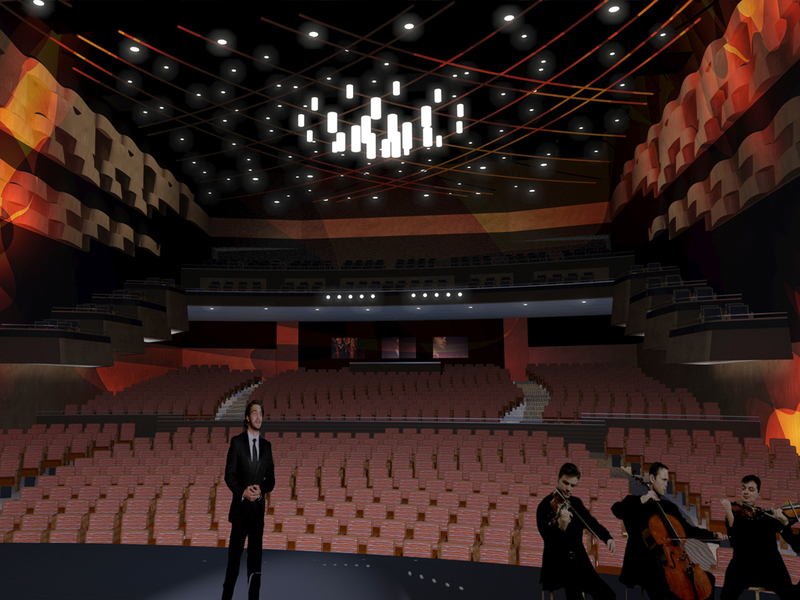 The main concert hall will host traveling theatrical performances, student-led concerts, guest lectures and other events. Performers will appreciate many features, such as the extensive wing space for stage entrances and exits and the 75-foot fly space, where elaborate scenery and props can be easily lowered onto the stage. 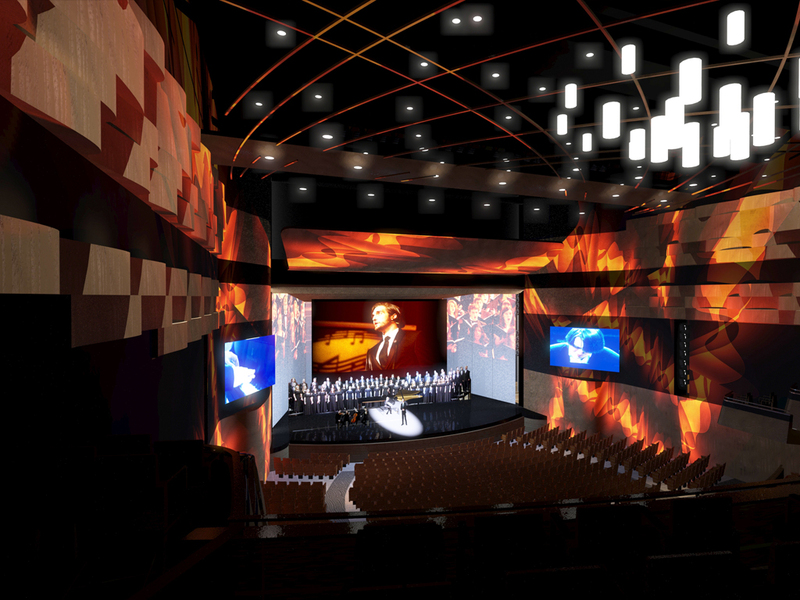 The orchestra pit will accommodate up to 90 performers and provide additional house seating. There will also be club seating available in the balcony row. An outdoor amphitheater will create opportunities never before possible at Oklahoma State. "This facility will enrich the lives of everyone not just at OSU, but in Stillwater and the entire region," Hargis says. "It will bring in many cultural events that add educational value for people." Stillwater Mayor John Bartley notes that the connections between OSU and the community aren’t always obvious. For example, college students often teach music and drama lessons for local youth. 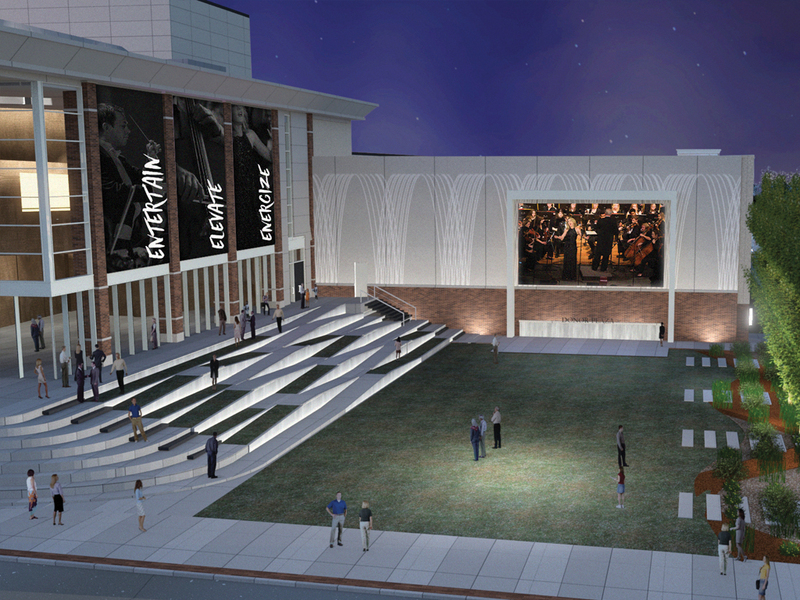 Thus, a venue that improves the education for OSU students will also benefit younger performers. "Stillwater will be a better place, OSU will be a better place, and our region will be a better place with this new facility," Bartley adds. 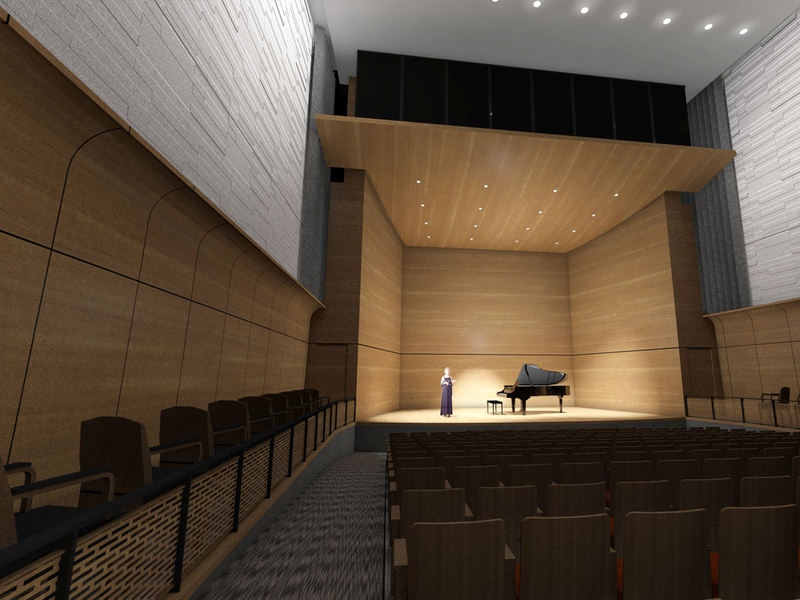 The Performing Arts Center complex will also be an invaluable academic resource as the home of the Department of Music and its master-class curriculum. Teaching studios will provide space for one-on-one lessons, while ensemble rooms will have appropriate space and acoustics for practice and instruction. Barry Epperley, project consultant and founder of Tulsa Community College’s Signature Symphony, had a performing career spanning more than 40 years. He arranged and produced music for Disney Corp., working with such legends as Duke Ellington, Count Basie, Johnny Mathis and Tony Bennett. The Stillwater native has also conducted the U.S. Army Chamber Orchestra for White House events, including inaugurations, and worked with renowned artists Isaac Stern, Leonard Bernstein and Gelsey Kirkland. He has conducted symphonies across the globe, including four appearances at the world-famous Carnegie Hall. He emphasizes the importance of technology for modern performers, who need a deep understanding of sound, video and lighting. "Technology is the center of the music world," says the two-time music education alumnus. "Our students need to have that technology as part of their learning, and they will." Examples of how technology might be used include instantaneous recordings of student practice sessions, robotic cameras to capture and broadcast stage performances and the ability to telecast Center events onto a screen outside the building for an audience gathered at the amphitheater and around the world. "Those are big dreams. It’s going to jump us ahead a lot — 35 to 40 years at least – and it’s going to be right here at Oklahoma State University," says Epperley, whose academic career included a doctorate from the University of Southern California before becoming a professor at Oral Roberts University. Two of the Oct. 30 events were held at the Seretean Center for the Performing Arts, the current home of the Departments of Music and Theatre. It was renovated in the 1970s after opening in 1912 as the Auditorium Building. Upon completion of the new building, the Department of Theatre will become the main tenant of the Seretean Center. The Seretean Center has served us well for 90 years," Hargis says. "We have all of our theatre and music here." A capacity crowd filled the Seretean Center Concert Hall for the main celebratory event. "A Night of Orange and Black" was broadcast on OState.TV, where it can still be viewed. It included performances by the Departments of Theatre and Music as well as two special guests: alumna and renowned opera singer Sarah Coburn; and Stockton Helbing, who plays with Doc Severinsen’s Big Band. During a pre-event gathering of OSU supporters, even Hargis entertained the crowd by singing and playing piano. Lucy Bates, a piano performance senior, says OSU was the only school she could find to support her dream of studying music before pursuing a career in medicine. She also explains why she is so excited about the Performing Arts Center, even though she will be in medical school when it is completed. "A new music facility isn’t just a contribution to future students; it’s also such a contribution to past and current students," Bates says. "As the institution and department continues to excel and build a reputation for excellence, the value of my degree and all those who have come before me will only continue to increase. 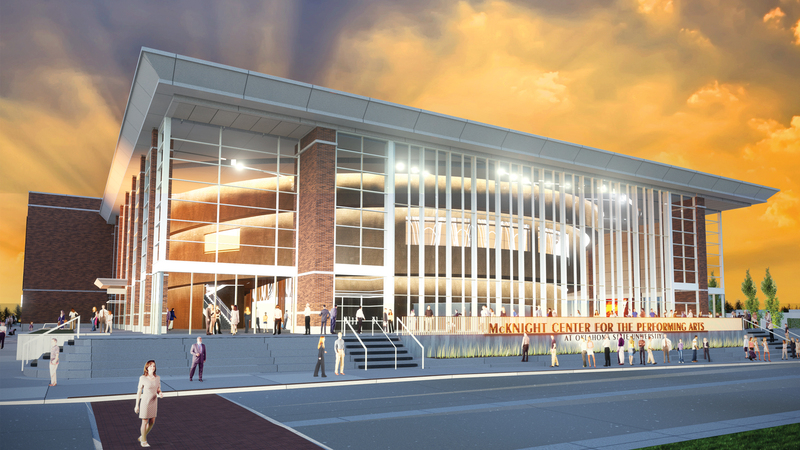 … A new Performing Arts Center will really make OSU shine as America’s Brightest Orange." Jonathan Villela, an instrumental music education senior, praises the faculty as "brilliant educators" and "internationally acclaimed musicians." "It is with so much joy and excitement that I join you in this celebration, knowing that our state-of-the-art faculty will soon be housed in a state-of-the-art Performing Arts Center," Villela adds. 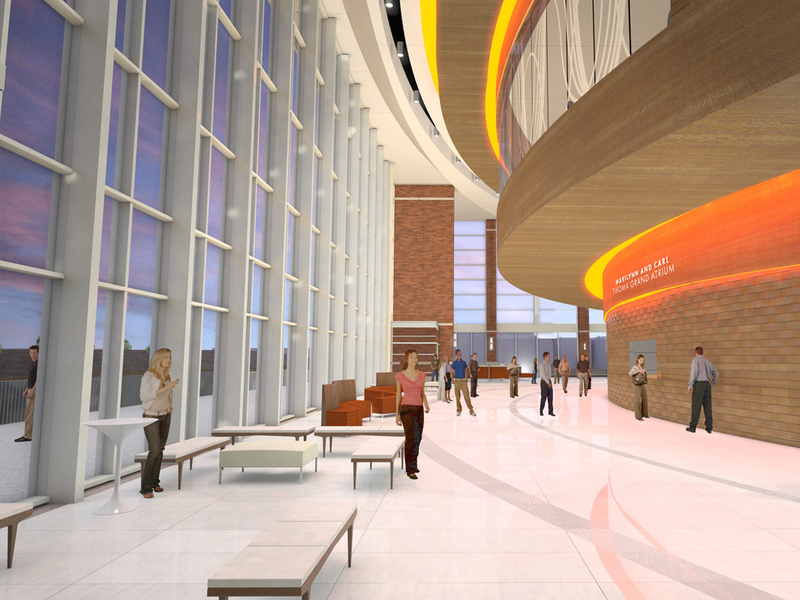 "This building will absolutely transform the way music is created at Oklahoma State. Past music degrees and future music degrees will gain value. Most importantly, the building itself will house and nourish future generations of students who, like me, will receive a life-changing experience at Oklahoma State." Hargis says OSU strives to be the best at everything it does, and the facility will catapult the fine-arts program to a new level. "There is a matter of pride and commitment," Hargis says. "If you have a true commitment to something, you are going to see that it has all that it needs to fulfill its promise. 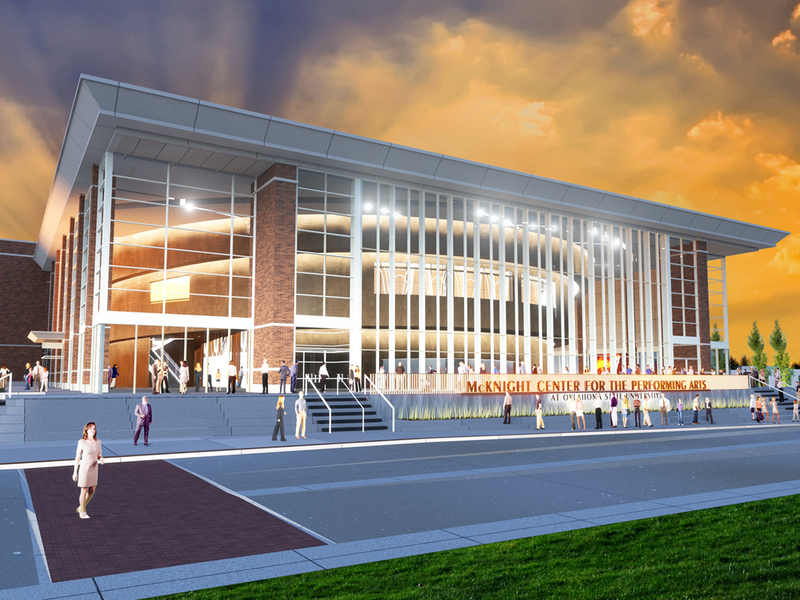 The new Performing Arts Center will serve the entire region and the entire university. I think it shows our commitment to being the finest."